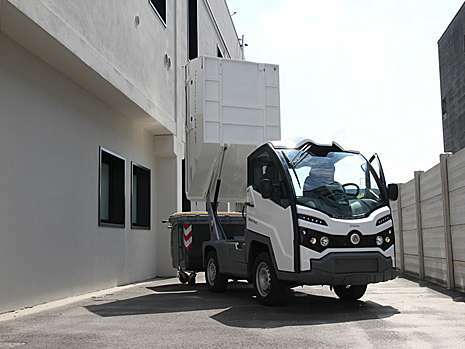 For a totally noiseless and eco-friendly refuse collection, the Alkè XT with refuse collection body and bin lift system are the ideal solution. 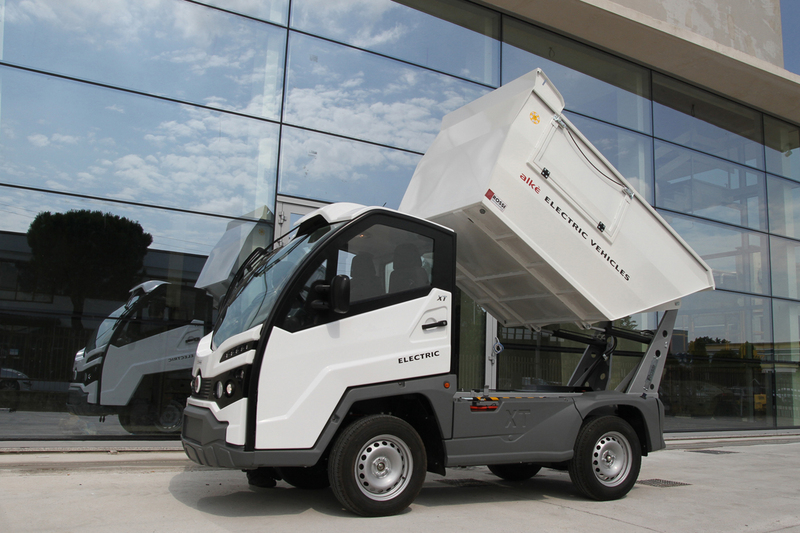 One of the most successful configurations of the Alkè XT vehicles with zero emissions is without a doubt the one featuring a refuse collection body. 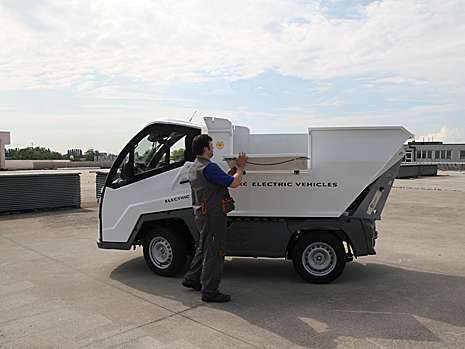 This equipment to collect and transport solid urban refuse caters to the needs of Town Halls, historical city centres, but even tourist villages, airports, railway stations, parks and green areas and industrial manufacturing plants. 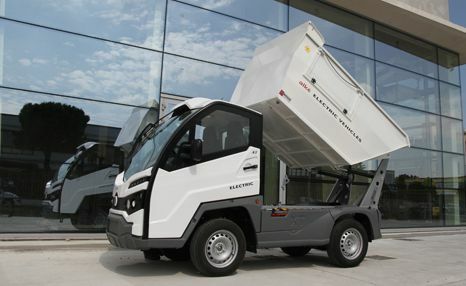 These refuse collection vehicles are certainly a valid response for all those organisations that aim for eco-friendliness and to reduce atmospheric and acoustic pollution. Recently, people have been talking much about the smart city, a city that can improve the quality of urban life especially by involving the fields of mobility, the environment, energetic efficiency and waste management. Which is why urban realities are more and more taking action to adopt separate waste collection systems (separate collection of paper, dry refuse, plastic and moist refuse), at times employing vehicles with a low environmental impact. The tank installed on these vehicles is in rustproof aluminium, with electric hydraulic overturning on a 90° angle. There are two hatches on the side to facilitate the manual loading of waste. 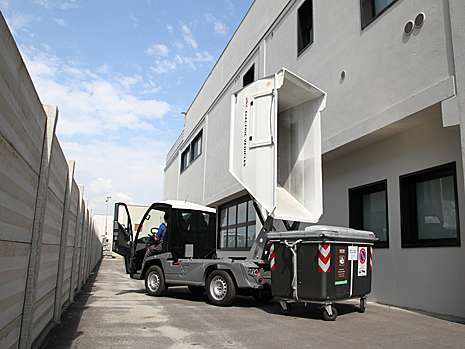 The refuse collection body can also include an automatic bin lif system with vertical movement for containers with a capacity of 120-240-360 litres. 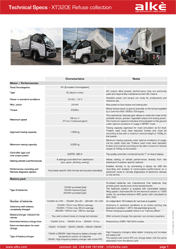 Handy and practical, these refuse collection vehicles are ideal even in areas where freedom of movement is limited. 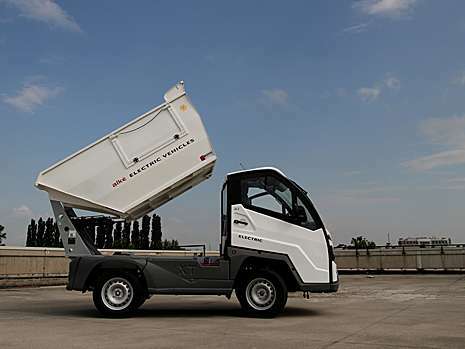 The controls to load the refuse collection body are installed on the rear right side, while refuse collection body unloading is managed from inside the driver’s cab, to guarantee safety to the operator, who can monitor the unloading phase through the rear-view mirrors. Refuse can be unloaded into garbage containers or compactors. 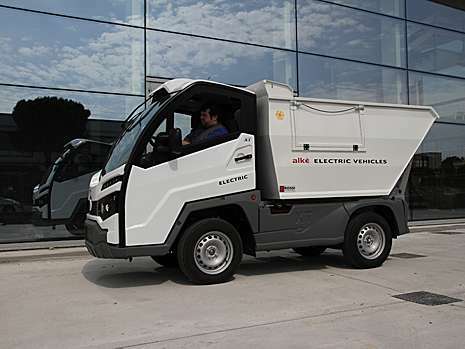 These refuse collection vehicles have very low consumptions: a full top-up costs about 3 euros and with the electric motor, stop and go in the city benefit the highest economic advantage. Virtual tour realised with an XT electric vehicle. The Alkè XT high performance electric vehicle has undergone a road test on mixed terrain: urban, rural, hillside.